Manufacturer and Supplier of Online Effluent Monitoring System. Our product range also comprises of Sewage Treatment Plants, Air Pollution Control Devices and Industrial Chemicals. The OPSA-150 is a new organic pollutant monitor that uses Horiba's proprietary cell length modulation, a measuring technique incorporating 25 years of expertise. 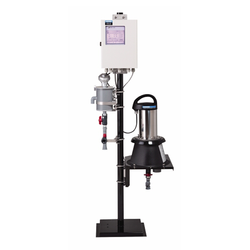 The unit can be used as an organic pollutant monitor at drainage systems for determining compliance COD/BOD monitoring regulations, for monitoring quality of water measuring levels of organic matter at water supply intake and as an organic monitor on process lines (Phenol Meter). 1. Continouse measurements with low maintenance. 2. COD,BOD & TSS monitoring by UV - VIS Absorption. 3. Measurement of organic matter on the process line. 4. Large Measurement Range of 0 to 5.0 abs. Owing to the expertise gained by us over the years, we are able to bring forth this comprehensive range of Multio Effect Evaporator. The offered industrial equipment has been engineered with complete precision. It is widely used for the product concentration of all the solutions and slurries that have been dissolved as well as suspended as solids. 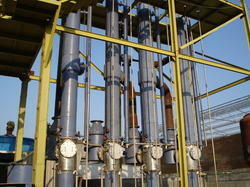 Helping many industries in high volume generation of effluents, this evaporator helps in recycling the same. Looking for “Online Effluent Monitoring System”?